Duncan Jones announced via Twitter today that his new film, MUTE, will premiere Worldwide on NETFLIX on Friday 23rd February 2018. It was going to be my first film. I sent it to Sam Rockwell who loved it! ...but he wanted to play Leo, the part that would later go to Alex Skarsgård. I wouldn’t budge but was so enamoured with Sam, I decided to write something just for him. That was MOON. Berlin. Forty years from today. A roiling city of immigrants, where East crashes against West in a science-fiction Casablanca. So unlike anything is it, that Duncan has been referring to MUTE as Marmite, or Marmute even ;) Which basically means you’re going to love it or hate it. MUTE then promises to be pure undiluted Jones. Keep up to date with all things MUTE by following Duncan on Twitter and the official MUTE Twitter account. Full MUTE cast and crew available on IMDb. FOOTNOTE: While you will understand the MarMute visual gag in our montage, you may be wondering what's going on with Duncan’s hat and beard... maybe keep your eyes peeled when watching MUTE to find out what's what! These releases haven’t been available on vinyl officially for more than a quarter of a century since the very limited EMI reissues in 1991. Keep reading for the press release. Parlophone is proud to announce that remastered versions of DAVID BOWIE’s classic albums LOW, "HEROES", STAGE (2017 version 3 x LP, 2 x CD), LODGER and SCARY MONSTERS (And Super Creeps) are to be released individually on audiophile vinyl, CD, Mastered For iTunes and standard digital. Hi-res digital downloads in 24-bit/192kHz and 24-bit/96kHz are also available. 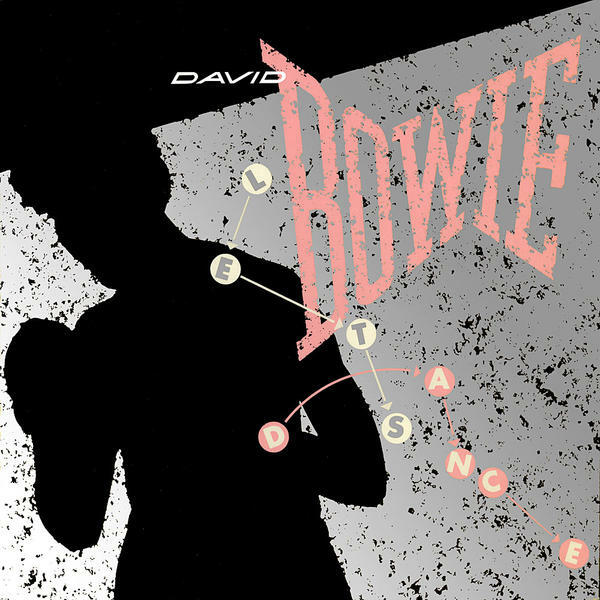 The albums were remastered for the critically acclaimed ‘A NEW CAREER IN A NEW TOWN (1977 – 1982)’, which includes the ‘Berlin Trilogy’ of albums on which Bowie collaborated with Tony Visconti and Brian Eno, and is the third in a series of box sets spanning Bowie's career including ‘FIVE YEARS (1969-1973)’ and ‘WHO CAN I BE NOW? (1974-1976)’. Originally released on RCA PL 02913 (U.K.) / CPL2-2913 (U.S.) on 8th September, 1978. As you know, the V&A’s critically acclaimed David Bowie is exhibition will make the final stop of its world tour at the Brooklyn Museum from March 2nd to July 15th. In celebration of that fact, Bloomingdale’s in New York (1000 Third Avenue, 59th Street and Lexington Avenue), have two windows given over to a few of the exhibition pieces and some Freddie Burretti 'daywear' outfits. Our montage shows one of the windows and a picture of David wearing the featured outfit at a press conference at the George V Hotel in Paris on May 3rd, 1973. The windows will be up through the end of day on January 28th. Pop back tomorrow for a snap of the other window. On the day that David Bowie’s Beauty And The Beast limited edition 40th-anniversary 7" picture disc is released (today), we thought it relevant to mention that the Official UK Charts Company has announced that Bowie has topped the Official Top 40 biggest selling vinyl singles of 2017 with his No Plan EP. Along with the #1 placing, Bowie also claims three more spots in the Top 10, and he shares #25 with Placebo. In the Official Top 40 biggest selling vinyl albums of 2017, Bowie's greatest hits collection, Legacy, is at #10, while The Rise And Fall Of Ziggy Stardust And The Spiders From Mars is at #20 and Hunky Dory is #30. Meanwhile, fans that fancy winning some of that Bowie vinyl should checkout the comments section in the FB version of this story, here.